Contrary to wide spread rumors, geology was not invented just to destroy your grade point average in high school. Many people do not understand the contributions that geology have made to our understanding of our planet and its history. Some aspects of geology are the only reason that we have continents, mountains, lakes, and all of the other topographic features of Earth. Geology is such a vast area of study that you could not expect to research any one topic without hours of reading to fully understand it. A portion of those hours would be spent trying to track down the information that you need to read. 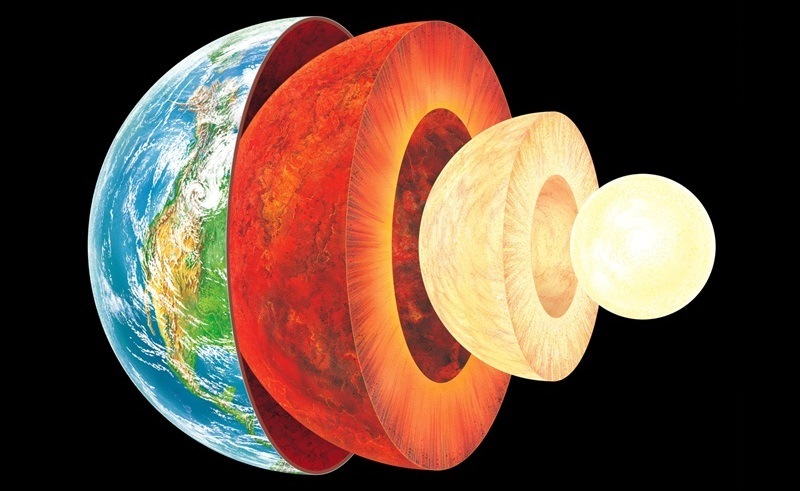 To help you along those lines, we decided to place links to a great deal of the geologic information that we have here on Universe Today in one place. Below are several links, but we do not expect you to simply jump in. Here are a few of the facts that you can find more information about within those links. The Earth did not erupt as the planet it is today. It took the process of accretion millions of years to provide a the majority of the mass our planet has today. Our planet is furiously active underneath our feet. Earthquakes and other seismic activity are evidence of that. Our planet has had a single continent at several different periods in its evolution. Each time multiple continents some and go and are currently moving together again. It is 6, 371 kilometers to the center of the Earth. No one has been able to bore more than 10% of the way there. These are just a few of the thousands of geology facts that you will find in the links below. As you research you will that many of these links take you to other link pages. There are literally hundreds of articles to sift through. Pace yourself and enjoy your research.